Old Yale Brewing Sasquatch Stout wins Canadian Brewing Awards Beer Of the Year! 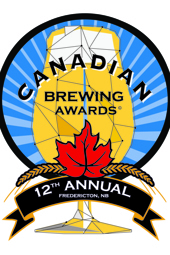 The 12th annual Canadian Brewing Awards were awarded on Saturday May 31, 2014. In Fredericton New Brunswick where BC craft brewery Old Yale Brewing took home a top award for their Sasquatch Stout. Awarded the coveted title of Beer of the Year the Sasquatch Stout has been a BC craft beer favourite for many but will undoubtedly find its way into the fridges and hearts of more craft beer enthusiasts with this award. Following Powell Street Brewing Company’s 2013 victory for their Old Jalopy Pale Ale BC breweries have won beer of the year two years running. BC Craft Beer is stronger than ever and this award not only shows the prowess of BC craft beer but also the acceptance of darker, full bodied styles such as an oatmeal stout. The Sasquatch Stout is a fantastic tasting beer that shows the progressive nature of beer in this province but also the homage to tradition that runs deep in BC brewers taps. 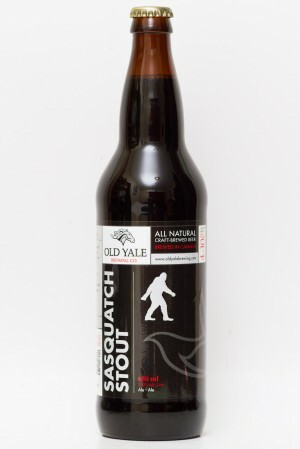 If you would like to learn where you can find the Old Yale Brewing Sasquatch Stout you can find a listing of retailers at oldyalebrewing.com/Find-Our-Beer. Congratulations to Old Yale Brewing on this prestigious award and all the other winner from the 2014 Canadian Brewing Awards! See the Beer Me BC review of the Old Yale Brewing Sasquatch Stout and vote for your score on Canada’s new top beer!. Description: Our Sasquatch Stout is black and robust with a lot of body, just like the mysterious animal itself. Brewed with oats and roasted chocolate malts.